To register in DOST 2018-19, your mobile number should be seeded with your aadhaar number. The last date for college confirmation by the student is extended till 21.08.2018. No reservation/sliding in the Phase-III allotments shall be allowed as per the DOST-2018 process manual. Every allotted student shall report the college, if he/she is interested to study B.A./B.Com/B.Sc. 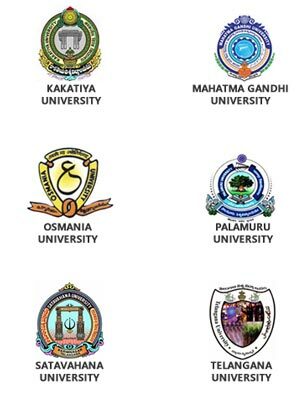 etc., degree in the state of Telangana. Special Phase or Phase-ICS (Intra College Sliding) from 5th to 7th July, 2018: In this Phase-ICS, fresh registrations and web options shall be allowed. All fresh registered, non-allotted and non-confirmed student can exercise web options. Eligibility for Intra (with in) College Sliding i.e., change from one course to another course and/or change from one medium to another medium based on existing vacancy and arrival: Only those students, who had already confirmed in the college, are eligible for sliding with in the college. The students who got first priority of their web options shall join in their allotted college and confirm their seat. The students who got second or other priority of their web options may either confirm their seat in the allotted College or move to sliding by paying Rs.500/- or Rs.1000/- (online payment). The Candidates who have passed a Diploma in Engineering/Technology/Non-Engineering Courses recognized by State Board of Technical Education & Training (SBTET), Telangana, are eligible for admission in the 1st Year in all the Degree Programmes as per G.O.Ms.No.112, Higher Education (TE.I) Department, dt.27.10.2001. As per the G.O.Ms.No.112, Higher Education (TE.I) Department, dt.27.10.2001, the students who have completed three year Diploma Courses in Commercial and Computer Practice conducted by the State Board of Technical Education and Training (SBTET) of Telangana State is equivalent to B.Com 1st Year for the purpose of admission into 2nd Year B.Com., as per the University concerned eligibility criteria. These students can approach the university for lateral entry admission. DOST-2018 conducts admissions only in the first year of Degree Course. Students (who did not link mobile to student's Aadhaar) are informed to visit Mee-Seva Centres with students' own Aadhaar Card and with students' or parents' mobile number for Generation of DOST-ID and OTP . For seeding of mobile number with Aadhaar, please visit nearby Aadhar updation center / meeseva center / Post office.